Litibu Lot- Higuera Blanca - The Mexico Land Catalog - Development Land and Homesite building lots for sale in Mexico. 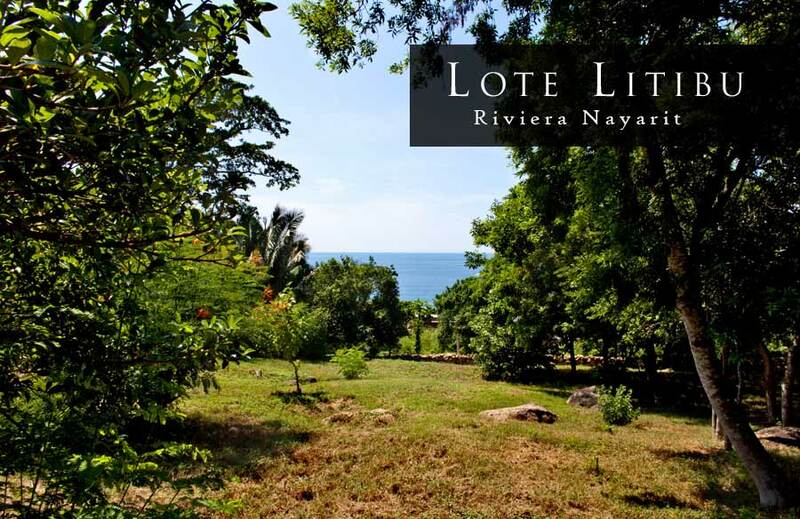 Ripe with fruit, fauna and future aspirations, this large and lush tropical ocean view homesite is a wondrously gentle slope down a jungle hillside of Huigera Blanca, nearly adjacent to Monkey Mt. and the Imanta Resort and between the ultra-exclusive Punta Mita Resort, the mega resort development of Litibu and the young and eclectically eco-trendy surf town of Sayulita. A wandering tour of the property is a diverse discovery that starts on the second floor of construction with a spectacular 270 degree view of the sea, mountains and jungle. Raised hillside ocean view homesites are often preferred by people who prefer a bit of tranquil privacy to the bustle of beachfront passers-by. A stone’s throw away from the water can save quite a bit of money in any real estate market, but there are other distinct advantages to re-thinking the oceanside vacation home ideal. For one, the wear and tear on beachfront homes is a significantly greater expense to maintain. Hillside owners at Litibu enjoy a divinely dependable ocean breeze that flows up the hillside and helps you save on air conditioning / electricity. A ventilator fan on the terrace lounge may be all you need 10 months of the year. An air-conditioned media room or bedroom is respite in the still of late summer night. Exit the house by the back door and step into a magical and lost age of mystic jungle with towering forest palms and temple-like boulders in whose presence one feels friendly spirits with rich stories to tell. 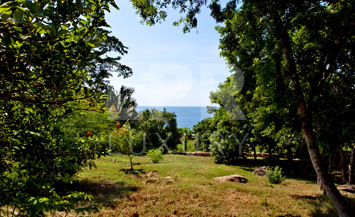 Winding out of the cool shaded jungle opens to green pasture, bananas, flowers and blue ocean scape. This home is a builders dream, perfect for a unique estate or eco-bungalows…and it awaits a lucky person with vision.